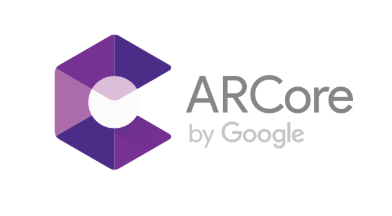 A few weeks ago at Google I/O we released a major update to ARCore, Google's AR development platform. We added new APIs like Cloud Anchors, that enable multi-user, collaborative AR experiences and Augmented Images that enable activation of 2D images into 3D objects. All of these updates are going to change the way we use AR today and enable developers to create richer, more immersive AR apps. With these new capabilities, we decided to put our platform to the test. So we built real experiences to showcase how these all come to life. All demos were presented at the I/O AR & VR sandbox area. We open sourced them to make sure you can see how simple it is to build these experiences. We're pretty happy with how they turned out and would love to share with you some learning and insights from behind the scenes. 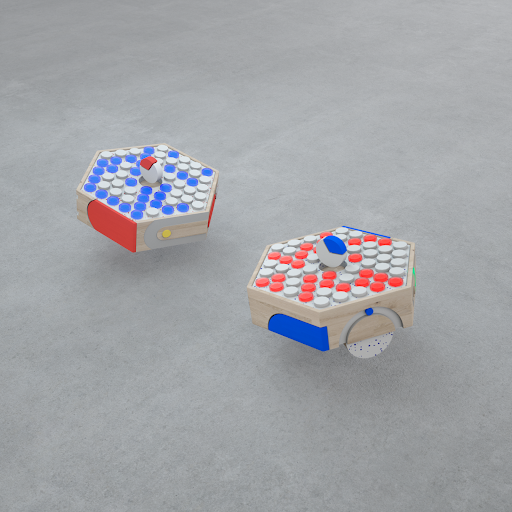 Light Board is an AR multiplayer tabletop game where two players on floating game boards launch colored projectiles at each other. While building Light Board it was important for us to keep in mind who the end users are. We wanted it to be a simple/fun game for developers to try out while visiting the I/O sandbox. The developers would only have a couple minutes to play while passing through, so it needed to allow players (even non-gamers) to pick it up and play with very little setup. The artwork for Light Board was a major focus. Our mission for the look of the game was to align with the design and decor of I/O 2018. This way, our app would feel like an extension of everything the attendees saw around them. As a result, our design philosophy had 3 goals; bright accent colors, simple graphic shapes and natural physical materials. The artwork was created in Maya and Cinema 4D. We created physically based materials for our models using Substance Painter. Just as continuous iteration is crucial for engineering, it is also important when creating art assets. With that in mind, we kept careful track of our content pipeline, even for this relatively simple project. This allowed us to quickly try out different looks and board styles before settling on our final design. On the engineering front we selected the Unity game engine as our dev environment. Unity gives us a couple of important advantages. First, it is easy to get great looking 3D graphics up and running right away. Second, the engine component is already complete, so we could immediately start iterating on gameplay code. As with the artwork, this allowed us to test gameplay options before we made a final decision. Additionally, Unity gave us support for both Android and iOS with only a little extra work. To handle the multiplayer aspect we used Firebase Realtime Database. We were concerned with network performance at the event, and felt that the persistent nature of a database would make it more tolerant of poor networks. As it turned out, it worked very well and we got the ability to quit and rejoin games for free! We had a lot of fun building Light Board and we hope people can use it as an example of how easy it can be to not only build AR apps, but to use really cool features like Cloud Anchors. Please check out our open source repo and give Light Board a try! In March, we released Just a Line, an Android app that lets you draw in the air with your phone. It's a simple experiment meant to showcase the power of ARCore. 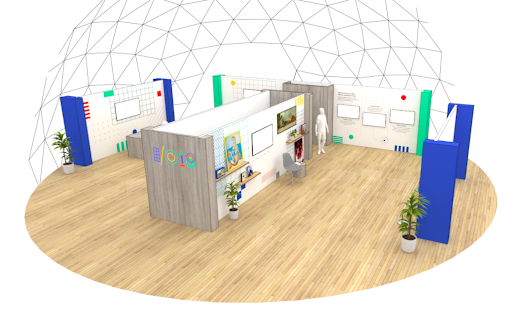 At Google I/O, we added Cloud Anchors to the app so that two people can draw at once in the same space, even if one of them is using Android and the other iOS. Both apps were built natively: The Android version was written in Android Studio, and the iOS version was built in xCode. ARCore's Cloud Anchors enable Just a Line to pair two phones, allowing users to draw simultaneously in a shared space. Pairing works across Android and iOS devices, and drawings are synchronized live through a Firebase Realtime Database. You can find the open-source code for iOS here and for Android here. "Illusive Images" demo is an augmented gallery consisting of 3 artworks, each exploring a different augmented image use case and user experience. As one walks from side to side, around the object, or gazes in a specific direction, 2D artworks are married with 3D, inviting the viewer to enter into the space of the artwork spanning well beyond the physical frame. Due to the visual design nature of our augmented images, we experimented a lot with creating databases with varying degrees of features. In order to get the best results, we iterated quickly by resizing the canvas for the artwork. We also moved and stretched the brightness and contrast levels. These variations helped to achieve the most optimal image without compromising design intent. The app was built in Unity with ARCore, with the majority of assets created in Cinema 4D. Mograph animations were imported into Unity as an fbx, and driven entirely by the position of the user in relation to the artwork. An example project can be found here. To make your development experience easier, we open sourced all the demos our team built. We hope you find this useful! You can also visit our website to learn more and start building AR experiences today.